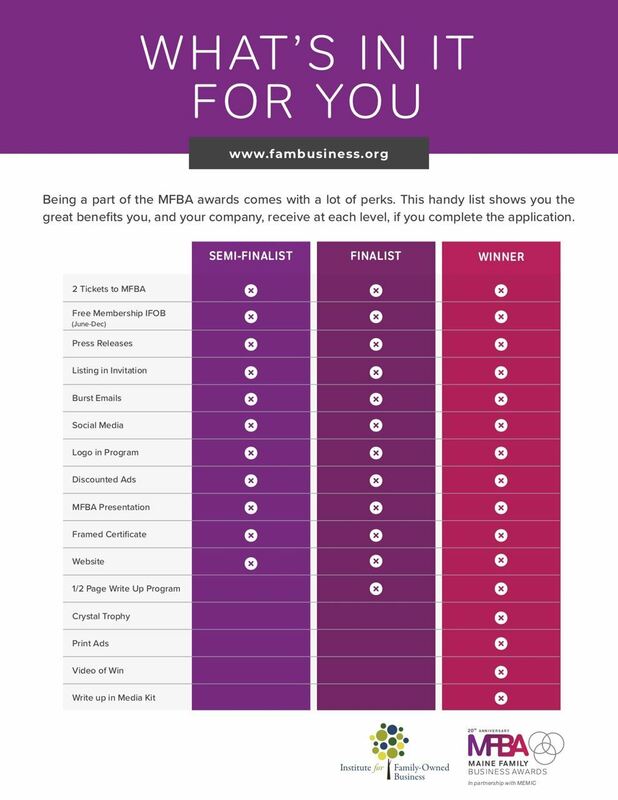 Institute for Family-Owned Business - What's In It for You? Self-nominations welcome & encouraged! You do not need to be a member of the IFOB to apply. Click here if you'd like to download this list!